Two people are in custody and a third has been cut loose without charges after an Uptown beauty store was robbed at scissor-point of wigs last Friday afternoon. Police say 25-year-old Javier Hill stuffed wigs down his left pants leg around 5 p.m. at Beauty House, 1041 West Wilson. Three employees blocked the door as Hill, 27-year-old Michelle Cain, and a third person stole merchandise, prosecutors said. The third person then pulled out a pair of scissors and lunged at the workers, allowing the thieves to escape, according to a police report. 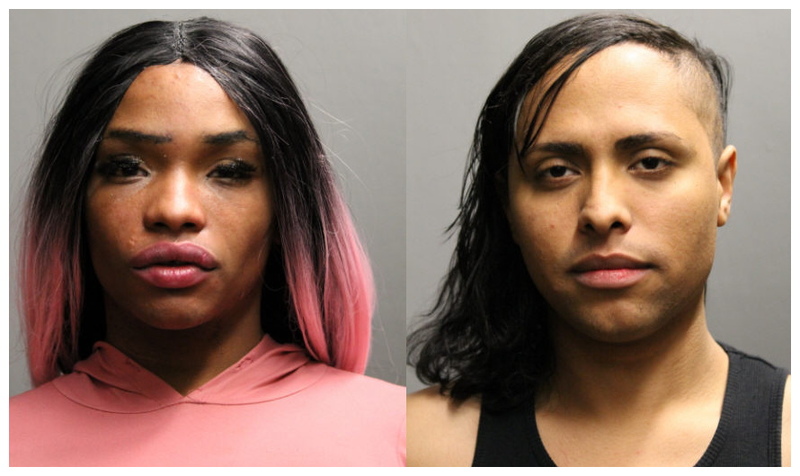 A paying customer told officers that the three offenders hang out at Center on Halsted, the massive LGBTQ service agency at 3656 North Halsted. Armed with “a distinctive description” of Cain and Hill: “One male wearing a black and pink wig. Another male wearing a black Mohawk," officers raced to the center. Hill and Cain were quickly located at the Center and placed in custody. The third assailant, a long-time Boystown menace who is well known to CWBChicago readers, was subsequently arrested by police and released by prosecutors. We are not publishing his name because he has not been charged with this crime. Prosecutors have charged Hill and Cain with one Class X felony charge of armed robbery each. They are being held in lieu of $20,000 bail by order of Judge Sylvia Atcherson. The Center on Halsted has been historically uncooperative with Chicago police in pursuit of offenders. We're working to find out why its workers didn't order officers to hand over a search warrant before Hill and Cain were arrested.